Our Team of consultants is composed by permanent consultants and roster consultants. All of them have extensive experience in their fields and the majority of them hold the highest obtainable degree in areas such as economics, law, business administration, political science, information technology, finance and human resource management. Truly valuable analysis and advice emerges from individuals possessing strong academic backgrounds and first-hand experience in specific industries and countries. Omar Garcia-Bolivar is a public policy consultant and international lawyer with over 25 years of experience in drafting laws and designing regulatory reforms to foster competitiveness and encourage participation of the private sector in the economy. As an advisor to developing nations’ governments and to foreign investors he has direct knowledge of the needs of the stakeholders in both the public and private sectors. Omar has also assisted investors in business and legal matters in Latin America. Prior to founding BG Consulting, Omar advised on Corporate Law matters for major corporations in Latin America through a Law Firm practice. He has had a prominent exposure to international dispute resolutions. Omar has been an arbitrator before the International Center for Settlement of Investment Disputes (ICSID) and the World Intellectual Property Organization (WIPO). He is also a member of the American Arbitration Association International Panel and is listed in the International Chamber of Commerce (ICC) Arbitrator Database. He is also a member of the Panama-Taiwan Trade Agreement Dispute Resolution. Omar is also an arbitrator with the China International Economic and Trade Arbitration Commission (CIETAC). Ms. María Sosa is an international lawyer with a master degree from Harvard University Law School. She has over 18 years of experience in legal assessment, designing regulatory reforms and legal drafting in areas of trade facilitation, transparency, Customs and taxes. She has lead the reform and modernization of many national and regional laws and institutions. Ms María Sosa has been the team leader in numerous consulting works in several regions of the world. As consultant and leader of many teams of consultants she has successfully achieved that legal reform drafts become formal laws at national and at regional levels. At the institutional level, Ms. Sosa has helped agencies to reorganize themselves to become more efficient and transparent entities. Ms. Sosa has vast experience in organizing workshops and training for government offices and private sector stakeholders. Ms. Melanie Beso Cline joined the BG Consulting team in 2011 and is responsible for the project and financial management. Ms. Cline has more than 20 years of experience in both areas. Her previous experience as financial analyst and as project manager in Fannie Mae for over 10 years brought a solid support for BG Consulting operations. Ms. Cline has managed many different projects all over the world, specially in Asian and African countries. Ms. Melanie Beso Cline holds a M.Ed. degree from the University of Virginia in the areas of Mathematics, Business Finance; Real Estate Appraisal, Finance, and Law. For many years Ms. Cline was also Mathematics teacher at high schools (George Mason High School and Alexandria City) and at the Central Texas College, Bolling Air Force Base Program, Washington, DC (College Algebra).  Ms. Silvia Anzola is the most senior consultant of the team of experts of BG Consulting. She has been an active consultant since the year 2000 contributing her vast experience in the areas of trade and Customs. Before joining the team of consultants of BG Consulting, Ms. Anzola was the Integration Director and Advisor to the Minister of Foreign Trade, from 1994 to 2001. At the Ministry of Foreign Trade, she was in charge of the evaluation of the performance of the Andean Community set of laws and implementation of issues related to the Andean Integration and negotiations in the framework of the Andean Community, the Latin American Integration Agreement (ALADI), and the Free Trade Agreement of the Americas (FTAA) and the G-3 Group. Specifically within the customs area at the Ministry of Foreign Trade, she was responsible for the adoption at Andean standards of the Common External Tariff Decisions, Custom Valuations, International Customs Transit, Roads Transport of Merchandise, Application of Safeguard Communitarian Measures and Antidumping Rights and Control of Customs Piracy. She participated in the workgroups of customs procedures and Norms of Origin within the FTAA. Also, she was part of the negotiation groups within FTAA in: Access to Markets, Customs Procedures; Subventions, Antidumping Rights and Compensatory Measures, and Disputes Resolution. Participation in the ad-honorem group of facilitation in customs within the FTAA.